At the Start of Diablo is a work of flash fiction set against a most unlikely backdrop. Inspired during a restroom break at a California nature reserve, the story is written as a stream of consciousness, resembling as closely as possible the surge of horror Brian felt when the idea struck. Preparing to hike up great Mount Diablo, our main character finds himself answering the pleas of a panicked suburban mom outside the state park's bathroom facility. As is often the case with structures of its kind, this modern-day outhouse utilizes the natural well over which it is built, opening up the cavernous passage below. Inside the restroom it’s more modern than you’d think and there’s a kid’s backpack and boots and little pants on the floor in front of the shelf where the toilet hole is set. Handprints and scratches and those are claws from an animal it came out of the hole when it was inside of the toilet and pulled the mom's kid down the hole. “What is this?” I ask myself trying to figure this out and the mom answers because she thinks I must be asking her. The sign “DEPOSIT NO TRASH” above it and then inside the hole is dark and the bottom is water on rock and there’s toilet paper clumps and it’s a natural cave and an animal made a nest and the sounds won't stop of an animal biting a girl and growling and screaming but which is which and chewing her throat and I can't listen and I want to run out but you can’t. 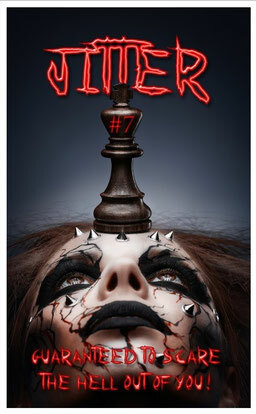 At the Start of Diablo is to be featured in the next edition of Jitter, a journal of poems and short stories by the newest voices of horror. Watch for Issue 8 in 2019 (pictured: Issue 7), available for purchase through Prolific Press. 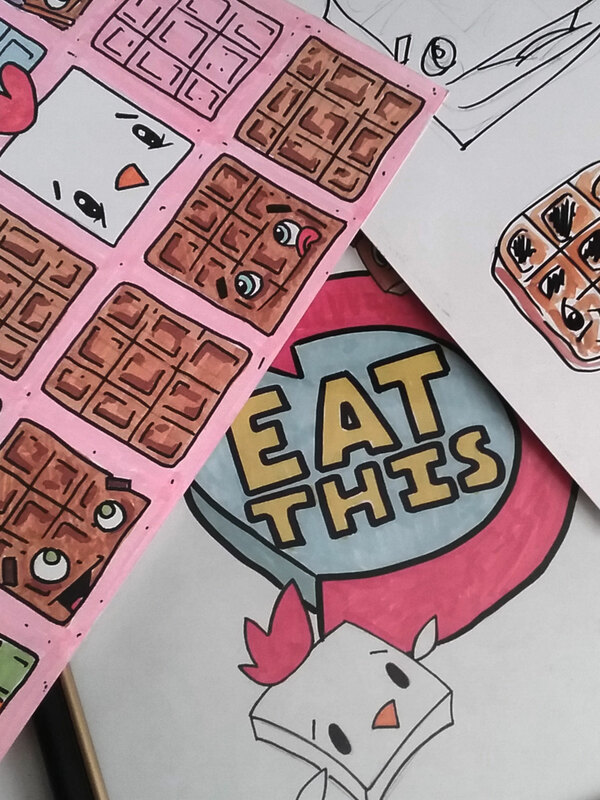 Meanwhile, visit Jitter Press online and subscribe! The short story A Terrible Thing will be featured in Massacre Magazine, a print and online publication aiming to showcase some of the best new voices in adult horror. In this work of prose poetry - defined as a fusion of narrative fiction and poetic devices - a young boy proves once and for all that it's been much more than his imagination going bump in the night. “That’s why you won’t go in,” Sis sighs, shaking her head. A terrible thing is hiding under the sheets. Its back curved down, a thing on its knees. I know it’s the Devil holding his breath. The boots are his bait-- at the end of my bed. Read Brian Michael Riley's A Terrible Thing in Massacre Magazine's Issue 14 available on Amazon this December. Big Business as Usual is the follow up to a story published earlier this year with Gay Flash Fiction (https://gayflashfiction.com). These are the memoirs of Edwardo McKlusky Nguyen as he navigates his way through marriage, the work place, and the English Language. In this latest installment, Edwardo finds himself empowered by Sit and Stay Dot Com's most recent client, inspiring him to claim his rightful throne in the rapidly expanding pet care empire. And into the den went the hubbies while I did try hard not to dream in the day. Hear Mrs. Green I did. 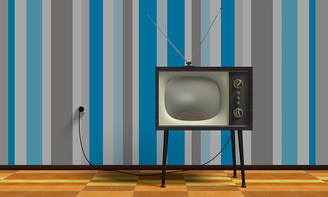 Turning perhaps his greatest form of procrastination into research, Brian used his countless hours of Dr. Phil time on YouTube as inspiration for After These Messages, a short story that looks at the darker side of television talk shows. 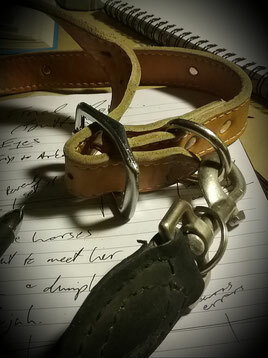 Written in May of '18, the 1,000-word piece of flash fiction has been published with Every Day Fiction. Helen stood paralyzed in her kitchen as the phone call’s initial excitement swerved into a dizzying sensation of terror. At first she thought she’d lucked out and that The Barry Ballard Show was finally calling with the two tickets she’d put her name in for about six months back. But as the details unfolded - a limo ride to the studio, a complimentary professional makeover, and her choice of a See’s party assortment or an Edible Arrangements Belgian Bucket - Helen began to suspect that this invitation was not a result of the lottery after all. Then the young rep confirmed it. Yes he could. Maury Povich, Jerry Springer, Barry Ballard. Who didn't know the contenders for the crown of tabloid talk sleaze? 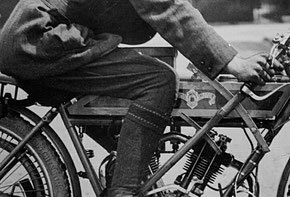 Big Business is the author's first published piece of flash fiction (typically defined as a complete story of extreme brevity) and appears online courtesy of Gay Flash Fiction. Written as the opening scene of an epic science fiction comedy, Big Business was originally titled "Edwardo: Unleashed in Dimension X", but the piece was shelved once its voice fully developed. But then said the editor: "There are the known arguments against a heavily accented story (e.g., requires too much concentration on the part of the reader), but they are of less weight when it comes to flash...the language is part of the story here." So a flash fiction was born. Oh but the most important record for me to put-- I am forgetting of what this is all to be! Abe and me, Edwardo McKlusky Nguyen, are now the boss men of Sit and Stay Dot Com. This is the new business we have made as husband and husband. Abe is the smart man with the computer, making the pictures and the words for our customers to click on, renting the days for their doggies and meow kitties to be sat. It is in this way how Abe and me have the plan to spend our lives together from now until forever. Not ever will we have to leave our home if we do not want (just for the walking of the doggies, of the course!). 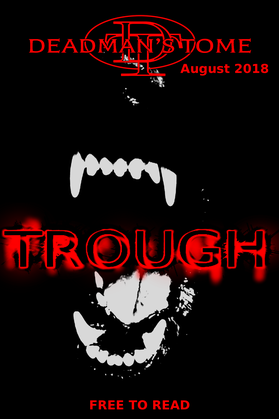 Inspired by the author’s often eccentric clients from his side pet care business, “Trough” is the story of a dog walker who becomes an unwitting pawn in the resurrection of an ancient evil. Looking towards the lean writing style of Ira Levin (“Rosemary’s Baby”, “The Stepford Wives”), the story is light on flowery, complicated language and favors instead a neatly unfolding plot through a quick succession of tense little scenes. In his mind’s eye Wade saw Him now, curled as a baby in its womb of roots, floating gently in an ocean of dark, cold soil. Plump and pink, the decades hadn’t withered Him. Instead, awesome, swooping horns stretched from His thickened muscles in every direction, growing wild and untamed through the years, tangling Him in the bedrock. And still He breathed, the earth throbbing for miles with every long gulp. Check out the story in Deadman’s Tome by downloading the free issue! 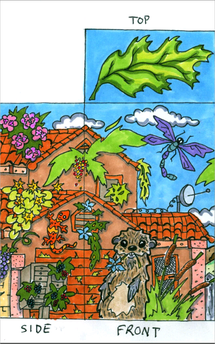 Brian has been commissioned by the City of Oakley, CA for their Utility Box Mural Project. 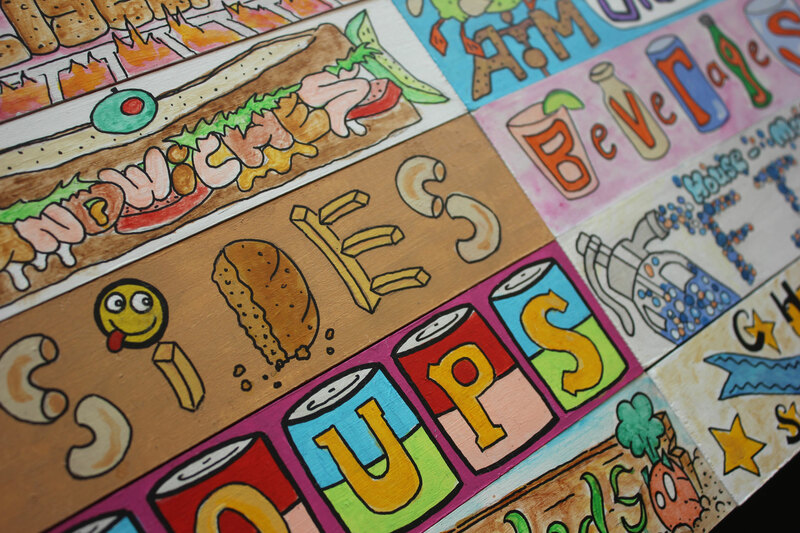 From the Call for Artists description: The City of Oakley is seeking artists to showcase their artwork on utility boxes located throughout Oakley. The goal of this project is to beautify Oakley, deter unsightly graffiti on utility boxes, and bring art into unexpected places. Inspired by the area’s native flora and wildlife, the whimsical design depicts a suburban home overrun by Mother Nature. Completion slated for mid-April. 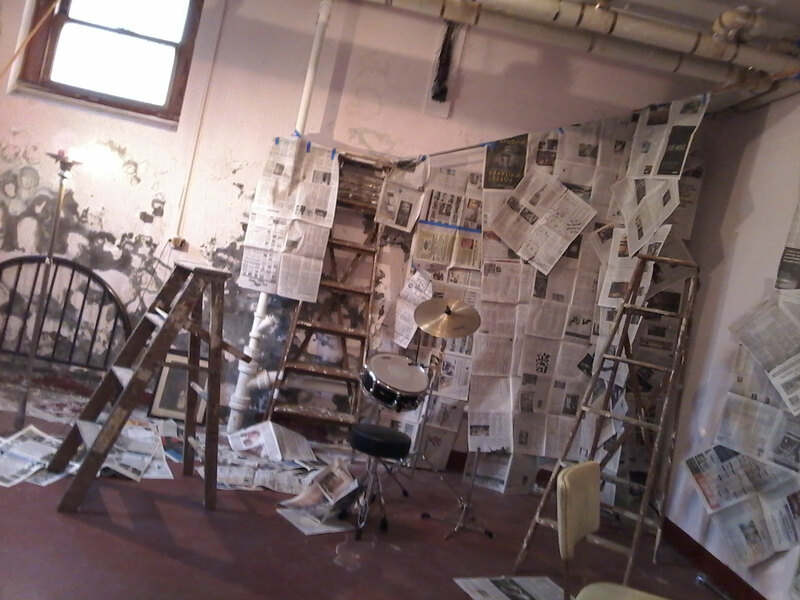 After having relocated to the San Francisco Bay Area this summer, Brian will be taking part in his first local arts festival. 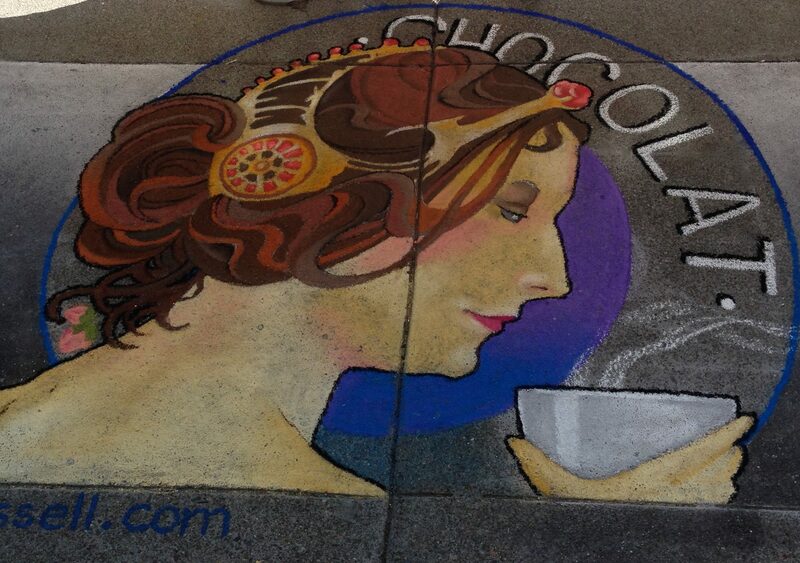 Taking place on the streets of the Gourmet Ghetto in North Berkeley, the 19th annual Chocolate and Chalk Art Festival will welcome an estimated 5,000 visitors to indulge in a fun-filled day of jazz, art and food. 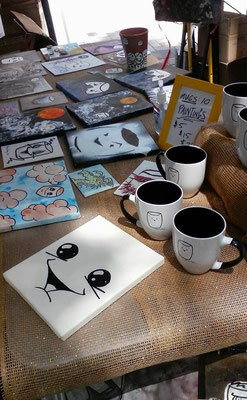 Brian's booth will be premiering new Marshmallow clothing, paintings, and collectibles. This event marks the first of many - Brian will be a regular vendor on Berkeley's Telegraph Avenue as of October! Watch for new merchandise there and in our online shop. 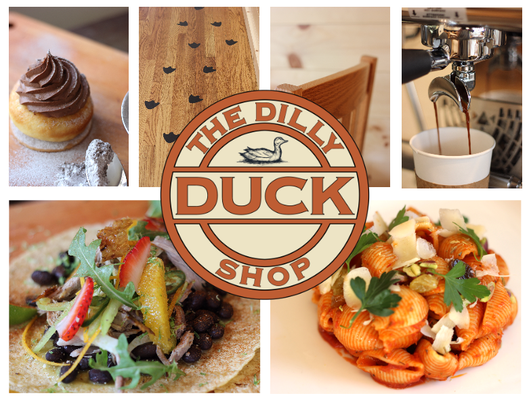 The Dilly Duck Shop is a Connecticut eatery opening its doors on Labor Day. Brian was commissioned to design and hand paint the restaurant's two dozen menu board plaques. 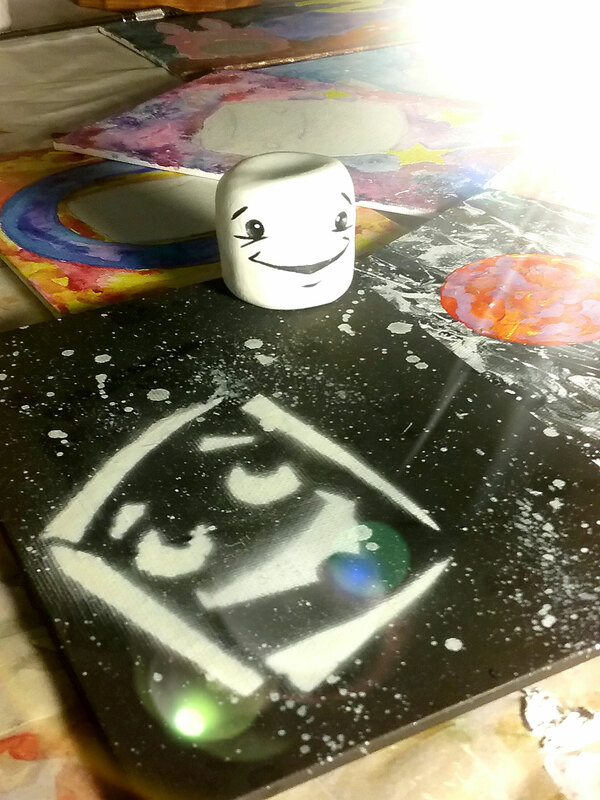 Wanting the handiwork of a CT-based artist, the playful pieces feature at least a few of our notorious little Marshmallows. 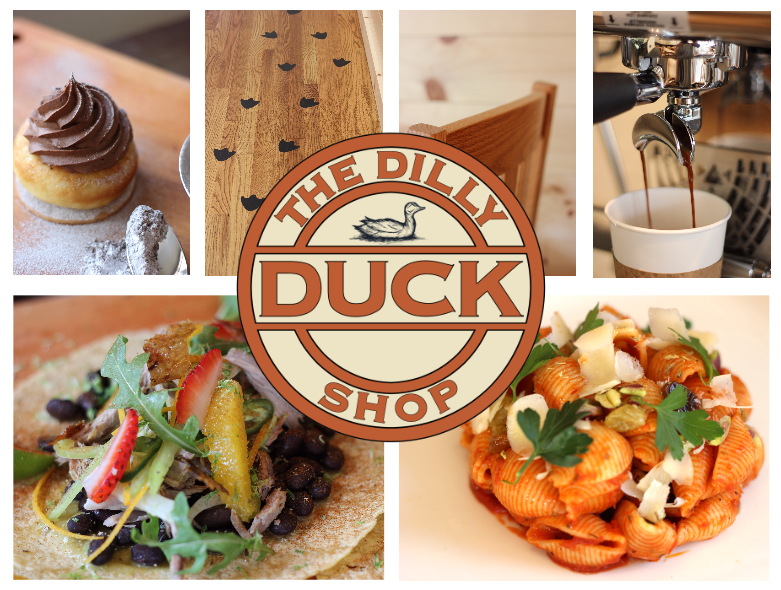 Visit the Dilly Duck Shop at 666 Main Ave., Norwalk, Connecticut! Jack Rushen is a southern Connecticut playwright who became fascinated with the life of William Haines, the first openly gay actor in the Hollywood studio system. 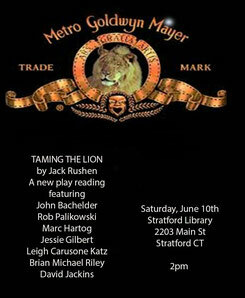 Set in 1934, Rushen’s biographical play “Taming the Lion” concerns the contentious relationship between movie mogul Louis B. Mayer and the once A-list actor Haines. 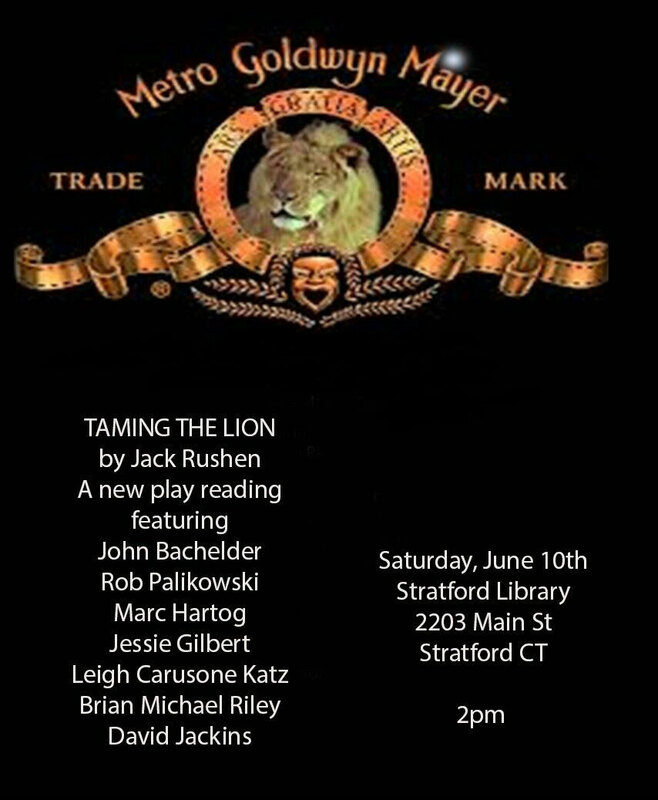 After workshopping the play through the winter, a staged reading is taking place on Saturday, June 10th, in Stratford, Connecticut. Brian will be reading the role of Buster Keaton. 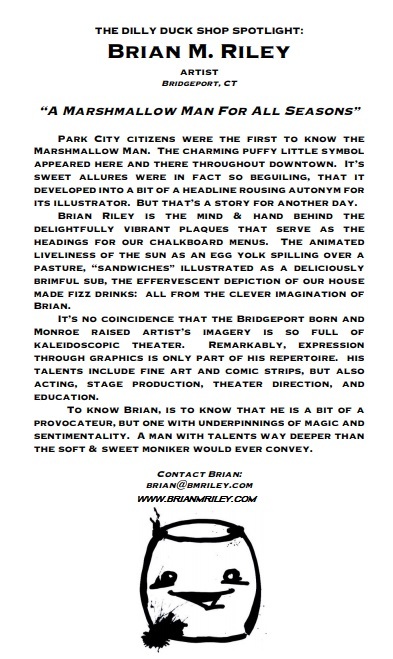 Brian was selected as one of the top 10 male performers of 2016 in the CT/NY community theatre circuit, as judged by the OnStage Critics Circle. In addition to this recognition for his role as Henry Bingham in Fox on the Fairway, the play was also one of the top 10 shows of the year. Brian has signed on to illustrate Beauty is You, the first book of a series that will be used to help promote self-confidence and acceptance for girls of all ages. 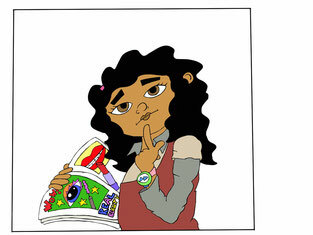 The book is written by Samary Agosto-Polnett of Hamden, Connecticut. Previews and release dates will be posted here! Brian is developing and directing a music video for the recording artist Ariadna. Filming currently underway for a Fall release. Brian wrapped a successful 3-weekend run in Ken Ludwig's farce, Fox on the Fairway at Eastbound Theatre, Milford, Connecticut. 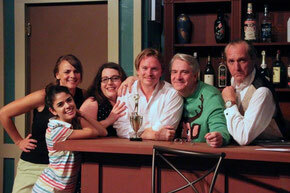 Click here for a feature article in the CT Post, a rave review, and more! 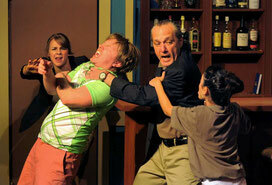 Brian's previous work at Eastbound includes performing as Sharky in Connor McPherson's dark Irish drama The Seafarer (2010) and directing Christopher Durang's Sister Mary Ignatius Explains It All For You & The Actor's Nightmare (2011). 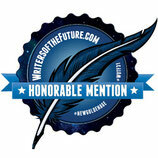 The short story DEBRIX has received Honorable Mention in the L. Ron Hubbard Writers of the Future Contest. A science fiction thriller exploring opiate addiction and the dark side of innovative kitchen appliances, this short story marks Brian’s return to narrative fiction after nearly half a decade. 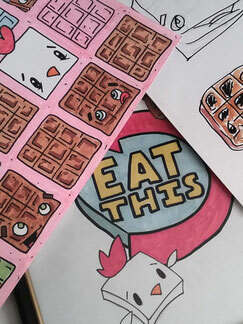 Brian will be bringing Art back to the classrooms of a private middle school in New Haven, Connecticut. The academy for under-served children has been without an art curriculum for nearly half a decade. This will be Brian's 2nd year with the school. After an 18-month run in Hearst Connecticut Media newspapers (The Connecticut Post, Greenwich Times, Stamford Advocate, Danbury News-Times), Marshmallow Melodies goes solo. The comic panels continue to premiere on Sunday mornings here on brianmriley.com and social media. 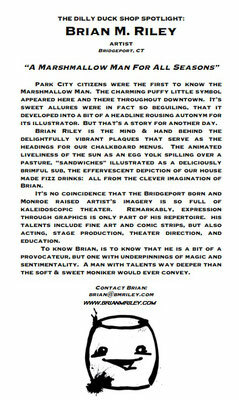 Brian is a featured artist in Misencik Photography’s Bridgeport Portrait Project.